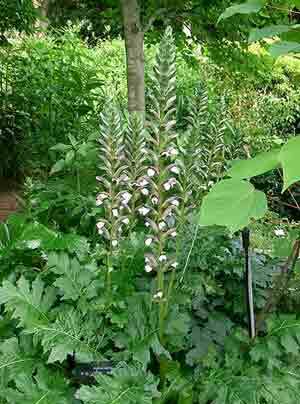 This is a large clumping perennial with dark green leaves. Spikes of flowers to 2m during the summer months. Protect from snails and slugs.